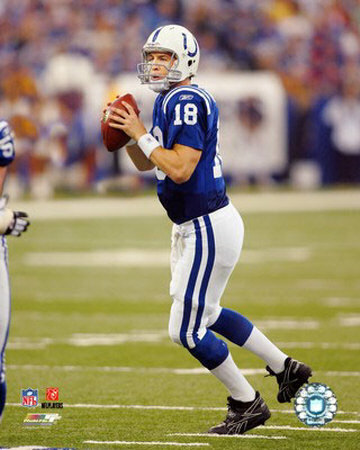 LeBron James take notes, Peyton Manning just showed you how to make yourself a legend in a place after your gone. He left with his head held high, while reminiscing on all of the good times he had with the Colts and Irsay. Instead of throwing the Colts organization under the bus, Manning went out of his way to praise the Colts, Irsay. The Colts keep saying they want the best for Peyton. They are saying that they are doing a favor for Peyton by releasing him because they didn’t have the pieces that they had in 1998. I mean if they had the same pieces in 1998, would they have cut Peyton then to save him the trouble. There not doing it for the cap, there not doing it because Andrew Luck is the first pick of the draft, but because they want what is best for Peyton. Yeah right. To me Irsay is the quintessential girl who says one thing to your face, and then would go behind your back to say things to other people or in this case the media. After all that Irsay has said, I found it ridiculous that he started crying and said it was over. To me it seemed like a total PR move, people were offended at the way the Colts had been treating Peyton so far and everything about the conference from the Colts point of view went perfect. During the question and answer section, Irsay stood next to Manning awkwardly while Manning was asked questions. It was awkward and only served the purpose to show how sad that Irsay looked. Back to Peyton, I couldn’t have been more impressed than he left me. There’s many ways that Peyton could have handled it, but he carried it with class and a level of sophistication rarely seen any more in sports. Peyton said in the press conference “the contract and the money were never a factor”, which was not true at all. The Colts by doing this today avoid paying 28 million bonus. Within the next few moments, Irsay was talking about how it would save the Colts cap room. The biggest thing was the way that Peyton connected with his fans. He mentioned how he is separated from the Colts but not from the great city of Indianapolis. He told them how he loved being their quarterback. There was no mention of taking his talents anywhere. He’s not going to South Beach; he is going to keep working out in Indianapolis. He even went to say that he had not been able to think about playing for another team yet. He showed the blueprint on how to leave a team, it was the opposite of the decision, maybe because it was made for him, but the openness and vulnerability shown was good to see in the business-driven world of sports. This entry was posted in Everything Else and tagged 28 million, colts, Cut, Jim Irsay, lebron James, Peyton Manning, Released, The Decision by leibo4. Bookmark the permalink.